They are a few amazing things you can do to start making money on the side especially if you are a stay at home mom. My favorite way is to work for direct sales organization like Stella & Dot. That’s why we urge you to become a Stella & Dot stylist if you are looking for creative ways to make more money from home. We love helping entrepreneurs like you become your own bosses by finding great work at home job opportunities. Before we begin, we also wanted to take this opportunity to let you know that we use Affiliate links on some of our blog posts including links from Amazon. This means that we could make a commission if you click on an affiliate link and purchase something. Why should you become a Stella & Dot Stylist? Apart from the fact that you would be making money on the side, this side gig is perfect for those that want flexible hours. If you are into fashion then you might want to become a Stella & Dot stylist to make extra money fast. This stay at home mom is making money on the side just by promoting jewelry. 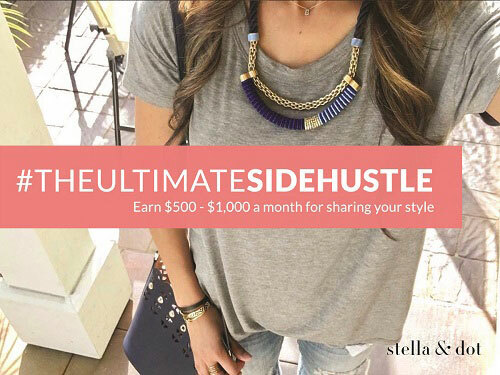 She is earning over $2000 which is why we highly recommend you become a Stella & Dot Stylist. Exactly how much can you make when you become a Stella & Dot Stylist? One thing you need to know is that Stella & Dot do not only offer jewelry to their clients, you can also cash in by selling and promoting their clothes, purses and amazing accessories which is pretty amazing, This makes making money on the side extremely easy. Expect to make about 35% of all sales when you become a Stella & Dot Stylist. If you refer other stylists, you can also make a great commission on sales that they make. Which is approximately 12%. Making money on the side has never sounded more interesting. How do you become a Stella & Dot Stylist? You do need to get yourself a Startup Kit which usually costs around $199. This will give you access to the Jewelry that you can start promoting to sell. They sometimes have awesome promotions where you can land yourself over $350 in product for the $199 startup kit price. This is a sweet deal as you can get your money back way faster. If you are a beauty or fashion blogger, you can use the samples you receive from your starter kit to showcase the different styles, take gorgeous photos and post them to your Instagram and other social media outlets. When you link your unique link from Stella & Dot, people can purchase from you directly. And a result, you get a commission. If you need more Jewelry as you grow your business, they are offered at 50% off. 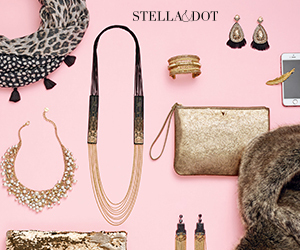 Grab your Starter Kit here and become a Stella and Dot Stylist. The best way to start making money on the side as a Stella & Dot Stylist is by promoting the jewelry on Social media, on your blog or hosting trunk parties. Social media – This will make you great money fast if you have a great influence on Social media. You can also start a business Facebook page and promote Jewelry on it. Join local Facebook groups such as “Buy and Sell (Your City name)” and promote your services once a week or so. A friend of mine joined a few Facebook groups and lightly promoted the Jewelry every Mondays and always made about $350 per week this way. Instagram is huge for promoting fashion, Jewelry pieces, and accessories. Blog or Website – You are provided with a generic website when you become a Stella & Dot Stylist that you can use (they actually give you a unique URL link connected to their website that you use to promote. But the best way to make money with Stella and Dot is to have your own website or blog where you can frequently blog about products, take photos of yourself using the products and build a following that way. 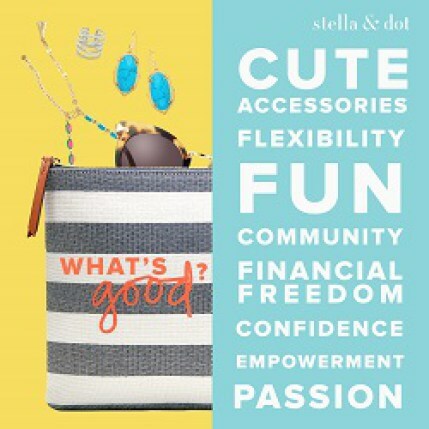 When you become a Stella & Dot stylist, you get fantastic banners and graphics you can use to promote the pieces which help you with making more money. As we mentioned earlier they are a few different ways to make money when you become a Stella & Dot Stylist and Trunk Shows are one of them. This is when you host parties at your home or at peoples homes, showcase a few samples, let the people try them, have wine and cheese and make some money. Yes, that exactly what you do a trunk show. If you have friends or know people willing to come to your parties, then go for it. But honestly, people hardly ever have time anymore. So hosting a party might not be the best option. And my best bet is to promote Stella & Dot products online using your own blog. You will reach so much more people and make a whole lot more than having a few parties here and there. It will also avoid you always having inventory, although you can get people to pre-purchase the items at the party, input it online when you get home and get the items shipped directly from Stella & Dot to the client. It’s a longer process, but online is way much easier and convenient for everyone. 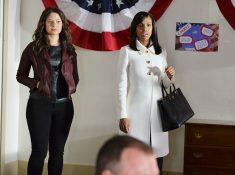 Will it work for a busy Stay at home mom? This job is perfect for a stay at home mom because the hours are extremely flexible. Yes, in order to really start making money on the side by becoming a Stella & Dot Stylist, you need to put in the work. 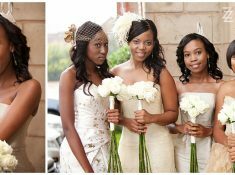 Promoting, finding a target market and taking photos of your work can become time-consuming over time but it is worth it. 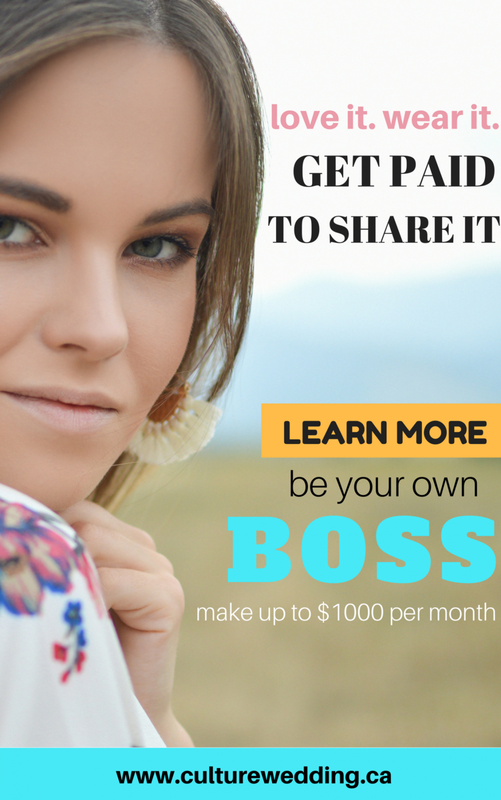 As a stay at home mom myself, I can tell you, that you can make good money when you become a Stella & Dot Stylist. I put in all the work up front, promoted it on Pinterest, Instagram but mostly on the blog and the cash started rolling in, steady but surely. Jewelry and accessories are big sellers and making money on the side with them are definitely possible, but you do need to keep promoting. Even if you spend 10-15 minutes per day pushing promos on Social media and writing one blog post per week will really help. Become a Stella & Stylist by signing up here. Click the get started button that pops up. You will then be directed to the “Become a Stella & Dot Stylist Lounge area”. Before you begin, select the country from the top right corner of your computer screen. 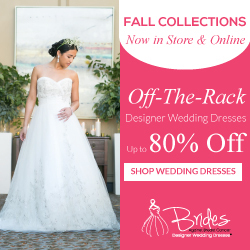 It will ask you for a sponsor and referral, you can say you do not have one, or your referral can be us- Culture Wedding, but you can choose to skip it. And then continue on with the next few steps. Congratulations you have become a Stella & Dot Stylist. You are now ready to make some serious money online. Want more money making tips? Sign up here and we will send them right to your inbox weekly.